Live gambling in Oranje Casino is an experience that has more to offer than just betting on a game like roulette, blackjack or baccarat. In this casino live gambling has been offered since 2012 and there is an exclusive possibility to gamble in the live casino with English-speaking dealers. It is even possible to use live on one of the gaming tables via the mobile casino. That means you can also play with your tablet or smartphone in the live casino. With every game variant there are several tables available to make a choice. Everyone with an account from Oranje Casino has access to the live casino and via the online casino as well as via the mobile version. It is therefore not the case that a separate account has to be created, but as a player you must be registered. If you want to transfer money to your player account, that money is also available to gamble live. Access to the live casino is provided from the casino website and from the smartphone or tablet when you visit Oranje Casino. If you have an account, you can select a game table. It is then up to you as a player to play immediately. If applicable, a place will have to be free at the table. For example if blackjack is played. It is not an obligation to play directly for money when visiting the live casino. It is also possible to take a look at several game tables without having to play along right away. So you can see what is the best game for you to play and you also immediately see how the communication between the dealer and the players at the table. That is the uniqueness of live gambling. There is interaction between the players and between the players and the dealer. That what the players have to report at the table can be followed via the chat window. The players chat with each other or with the dealer and the dealer can then react orally again. The fact that there are gaming tables with English dealers only makes it easier to chat with. Evolution Gaming and Netent are the providers that make it possible to gamble in the live casino of Oranje Casino. These casino software developers are responsible for the gaming experience you experience. The focus is on offering the highest quality when it comes to image and sound. Just play Netent Live Roulette HD with super-clear HD quality. This game also offers the choice to gamble at the gaming table without or with a live croupier. Also French roulette comes from Netent just like you have the option to play the La Partage version. Evolution Gaming is responsible for, among other things, Live Roulette Immersion, where you follow the game via fourteen cameras. Of course also in HD quality. This also applies to all other casino games in the live casino. For example if you are going to play blackjack or bet money on the game table for live baccarat. Every year Oranje Casino does come with innovative development or with new casino games. You also have the opportunity to gamble live in Italy, Denmark and Georgia. Or to play a totally different casino game live. For example Three Card Poker, Casino Hold’em, Caribbean Stud and Dream Catcher. For example, there is a favorite live casino game available for everyone at Oranje Casino. If you visit Oranje Casino more often to play slot games, for example, you see that there are often actions. For example with free spins. Or with bonuses. There are also great promotions in the live casino. Almost every month there is a promotion at the live gaming tables available and then mainly blackjack and roulette. These are pre-eminently the casino games that are suitable for connecting promotions. In blackjack, it happens regularly that special prizes can be won. For example because golden playing cards are placed between the regular playing cards. A player who receives a golden card, for example, participates in a lottery. Or if there are Monopoly cards and you get one of them then you are immediately entitled to a bonus. For example, there are alternating actions in live roulette. For example, that you get a bonus when a specific number wins. It only makes it more fun when there is an action in the live casino, but you also experience the time of your life without any promotions. It is just always fun and exciting to gamble live. Or even if you do not gamble, it is fun to watch. Then you will experience a bit of the tension that only really gets big when you join. Incidentally, live gambling is now possible at any time of the day. 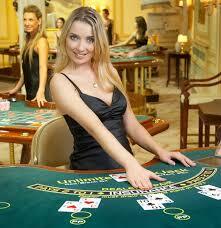 The live casino is a perfect addition to the wide range of online casino games. For example, there is an trustly choice for everyone to have a fun night out. Or morning or afternoon, because Oranje Casino never closes.